INDUSTRY.co.id - Jakarta- Toyota Indonesia is now positioning itself as a part of nation and nation. Let us together build the country of Indonesia is to make the industry competitive world-class. This was conveyed by the President of the Institute of Automotive Indonesia, I Made Dana Tangkas in his presentation at the event "OPENEX Confrence" in Jakarta, Wednesday (11/10/2017). Made Dana Tangkas who also became Advisor PT. Toyota Motor Manufacturing Indonesia (TMMIN) in the presentation at the event conveyed, the success of Toyota as a Car Manufacturer in the homeland, because in it also applied “blusukan” system as well as applied by President Jokowi since he served as Governor of DKI. "Inside Toyota Indonesia, the leadership of the President Director, Director, General Manager, Manager and Supervisor should not just sit at the table, but must be aware of the actual events by going to the field," said Made Dana Tangkas. Made Dana Tangkas added the Toyota “Blusukan” system is one of the pillars that support the success of Toyota as a car manufacturer in Indonesia. "This blasting system in toyota is also called the Real Fact, Real Time and Real Place pillar," said the initiator of the "MAHESA" Rural Vehicle. In addition to “Blusukan”, Made Dana Tangkas also said the team work (team togetherness) and Continuous Form pillars become the basic system of Toyota's success in the development of Automotive Industry in the country. Toyota Indonesia's success, firmly Made Dana Tangkas, can not be separated from the support of the supplier, both the suppliers of machinery, equipment, spare parts and others. 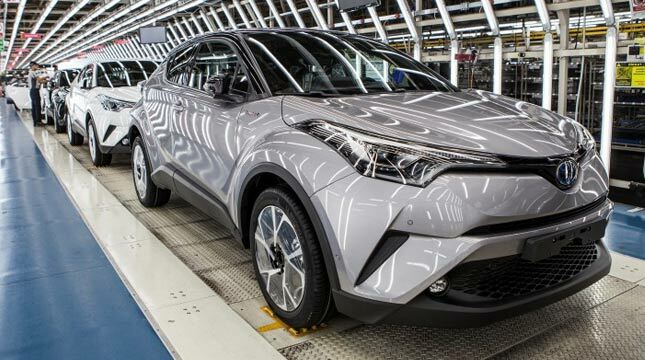 "Approximately 70 percent of Toyota Indonesia's dependence on producing vehicles is in the hands of suppliers, both component and non component suppliers" closed Made Dana Tangkas.